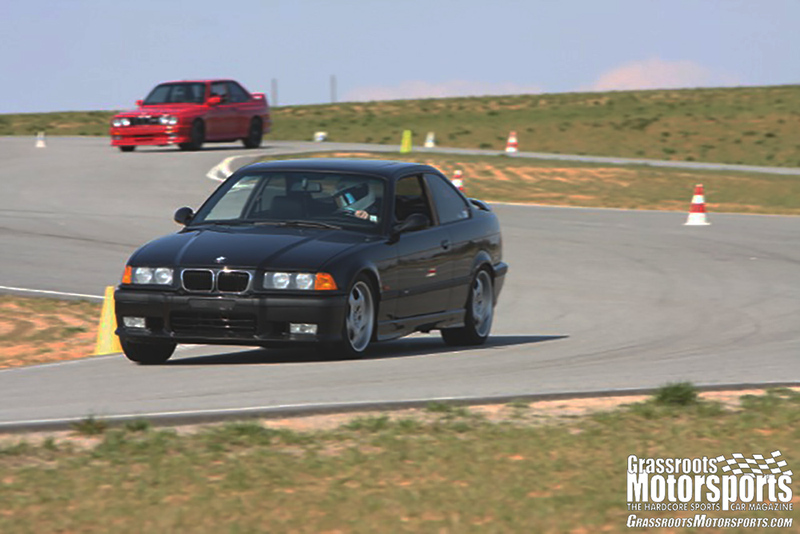 The E36-chassis BMW has been a fan favorite for years, and this one has been in the family since new. It was time to give it some love, though. In an ongoing attempt to keep the car’s 3.2-liter engine running happily, we also installed Moroso’s Oil-Air Separator kit, available through BimmerWorld. We used a few 303 products: first a cleaner, then a protectant, and finally a speed detailer. It’s rough out there for a car’s paint. Day after day, that big ball of fire in the sky unleashes a UV assault that slowly strips it of its luster. To restore some of our trusty M3’s former glory, we turned to 303. Made by the Gold Eagle company, 303 detailing products have been highly regarded in the marine industry for years. Now they’re available in formulations for cars, and we were eager to sample them on our Bimmer. We used a few 303 products: first a cleaner, then a protectant, and finally a speed detailer. While the cleaner and protectant worked well, the detailer was the most impressive product we sampled. With a quick wipe, the car’s finish came through with amazing shine and clarity. This stuff won’t perform miracles on a nasty, muddy car, of course, but it’s great for freshening a relatively clean one before you head out. Mother Nature decide to decorate your freshly washed car with rain spots? The speed detailer easily eliminates them. Now that our M3 had a slick exterior, we wanted to make sure it had innards to match. We performed an oil change using Driven Racing Oil’s HR 10W-30 High Zinc Synthetic Hot Rod Oil, a formulation with increased levels of slippery zinc. 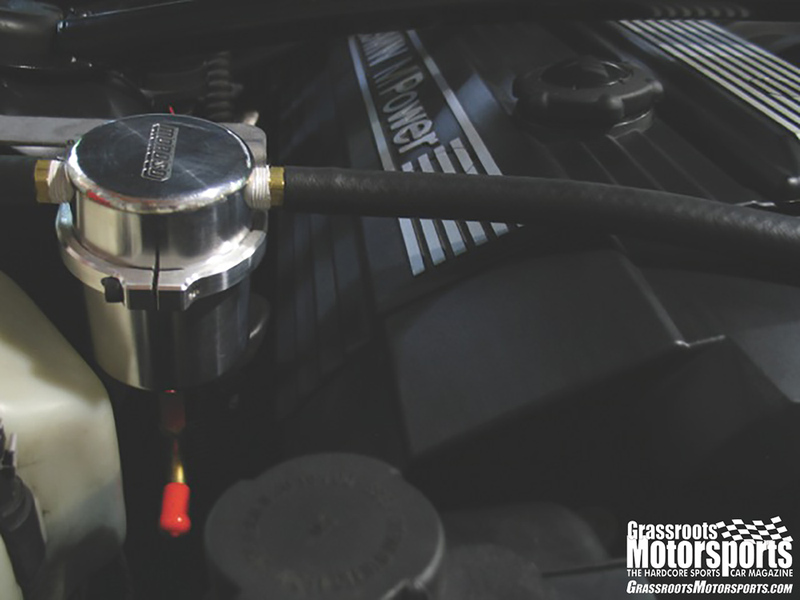 It’s aimed at high-performance applications: crate engines, performance builds, track use, and even older engines featuring flat tappets. It’s also compatible with catalytic converters. As a bonus, according to its manufacturer this 30-weight oil provides the bearing protection of a 40-grade. Running the lighter, 30-grade fluid should lower our oil temps a bit and may even free up a few horsepower. In an ongoing attempt to keep the car’s 3.2-liter engine running happily, we also installed Moroso’s Oil-Air Separator kit, available through BimmerWorld. This beautiful, billet-aluminum catch can filters and collects the vaporized oil that would normally be sent back into the intake tract. This keeps our intake clean and makes deposits on our valves less likely to appear. Installation was a breeze thanks to Moroso’s excellent instructions: It took one person about an hour and a half. We figure the $213 kit takes our car one step closer to bulletproof. Not a subscriber? Each Grassroots Motorsports magazine contains everything you want and more. Subscribe to Grassroots Motorsports now.